Dominant Eye — What Is It? Your dominant eye is the one that provides a slightly greater degree of input to the visual part of your brain and more accurately relays information about the location of objects. In most cases, the term "dominant eye" is used when describing the normal visual condition where the two eyes function well as a team and have relatively equal visual acuity, and one eye is simply the "leading" or preferred eye. But sometimes, "dominant eye" is used to describe the normally sighted and functioning eye in dysfunctional cases of amblyopia and strabismus. Extend your arms out in front of you and create a triangular opening between your thumbs and forefingers by placing your hands together at a 45-degree angle (see animation). With both eyes open, center this triangular opening on a distant object — such as a wall clock or door knob. If the object stays centered, your right eye (the one that's open) is your dominant eye. If the object is no longer framed by your hands, your left eye is your dominant eye. Alternately close one eye at a time. The eye that keeps your thumb directly in front of the object while the other eye is closed is your dominant eye. Both of these dominant eye tests are categorized as "sighting" tests, since they involve aligning a visual target with a makeshift sighting device (mimicking the "sight" on the barrel of a rifle). Some studies have shown that sighting dominant eye tests, though simple to perform and generally accurate, can be affected by handedness (see below) and other non-visual factors. To avoid these confounding factors, some researchers argue that non-sighting dominant eye tests may be a more accurate way to determine eye dominance (also called ocular dominance). In these tests, the subject keeps both eyes open, and visual stimuli are presented to each eye separately with the use of special optical devices. And this is the limitation of non-sighting dominant eye tests — the equipment and expertise required to perform them typically are found only in specialized vision clinics or research facilities. In most cases, simple sighting eye tests like those described above will accurately identify your dominant eye. Though eye dominance and handedness (being right-handed or left-handed) are not directly related, these traits are significantly associated. Population studies show that about 90 percent of people are right-handed and about 67 percent are right-eye dominant. Although research has shown that the odds of a person who is right-handed being right-eye dominant are high — approximately 2.5 times greater than the odds of that person being left-eye dominant — it is impossible to predict eye dominance based on handedness alone. Is it possible to not have a dominant eye? Perhaps, but it would be uncommon. If a strong degree of dominance is not apparent in a dominant eye test, it's more likely a person has mixed ocular dominance (also called alternating ocular dominance), where one eye is dominant for certain functions or tasks, and the other eye is dominant at different times. Some people may perform a sighting dominant eye test and find that the visual target is not perfectly aligned with the triangular opening between their hands or with their thumb (depending on which type of sighting test they perform) with either eye. There is a spectrum of degree of eye dominance among individuals. (The same is true for handedness.) In other words, some people may have one eye that is very dominant, while others may have less of a difference in the dominance of their two eyes. To some degree, however, eye dominance is hardwired in our brain. Within the visual cortex (the part of the brain that processes visual information) are stripes of nerve cells (neurons) called dominant eye columns. These bands of neurons seem to respond preferentially to input from one eye or the other and are important to the development of binocular vision. But researchers also believe there are some overlap and plasticity in these dominant eye columns — suggesting eye dominance can be variable, alternating and perhaps incomplete in some individuals. So what's the practical importance of performing a dominant eye test? If you are right-handed but your dominant eye is your left eye, this cross-dominance can pose challenges for shooting accuracy. Dominant eye in shooting. Having trouble hitting moving targets with your rifle? It could be that you have crossed dominance — meaning, your dominant eye and dominant hand are on opposite sides of your body. For example, if you are a right-handed (and therefore right-shouldered) shooter but have a dominant left eye, you may find yourself shooting behind a left-to-right moving target and in front of a right-to-left moving target. Being aware of this will let you make the correct adjustments to improve your shooting accuracy. Another option to compensate for cross-dominance is to keep both eyes open until just before you take your shot. Keeping both eyes open enables you to use 100 percent of your peripheral vision and depth perception to get ready for the shot. Closing your cross-dominant left eye just before the shot lets you make the last-second adjustment to better align the barrel of your rifle with the moving target. Dominant eye in photography. Knowing which eye is your dominant eye is important when composing a photograph by looking through the viewfinder of a digital single lens reflex (DSLR) camera or similar film camera. Using your dominant eye will give you an accurate preview of the actual shot. Using your non-dominant eye will cause certain details to be slightly displaced laterally or off-frame. Dominant eye in sports. If (like most people) you're right-handed and have a dominant right eye, certain sports will require you to position your head properly to take full advantage of your dominant eye. For example, in baseball or softball, you need to turn your head enough when batting so your dominant right eye can clearly see the rotation, speed and position of the approaching pitch. The same is true for cricket. Another example is golf. Proper alignment of putts (and even fairway shots and drives) requires adequate head turns to fully use your dominant right eye to visualize the shot you're about to take and accurately position your body and club head to achieve it. 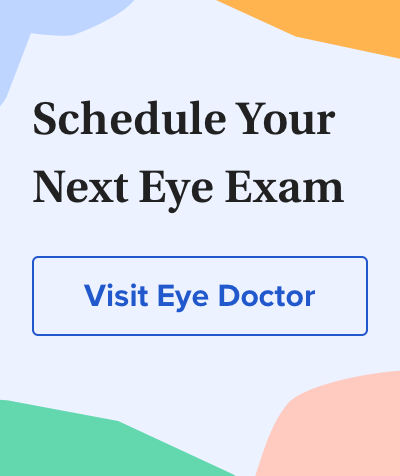 If you are serious about sports and are looking for guidance on how to best use your eyes to enhance sports performance, consider visiting an eye doctor who specializes in sports vision. Handedness and eye-dominance: a meta-analysis of their relationship. Laterality: Asymmetries of Body, Brain and Cognition. Volume 1, issue 1; 1996. Published online October 2010. Mechanisms underlying decoding at 7 T: Ocular dominance columns, broad structures, and macroscopic blood vessels in V1 convey information on the stimulated eye. NeuroImage. February 2010. A new method to assess eye dominance. Psicológica. Volume 29, issue 1; 2008. Understanding eye dominance. Texas Parks &amp; Wildlife Magazine. November 2006.